Menthol, Eucalyptus and Camphor Oil: What’s the Difference? From cough drops to chest rubs to cigarette flavoring, menthol is a staple in medicinal products, gums and more. Its strong, minty smell makes it a popular ingredient in anti-congestion medications. In 1771, German chemist Hieronymus David Gaubius first isolated menthol, an essential oil from the mint plant. Plant oils like menthol attract pollinating insects and deter damaging pests. They also protect the plant from fungus and harmful microbes. Although the peppermint plant contains the greatest concentration of menthol, most menthol extracted today comes from the cornmint variety of mint (Mentha arvensis). Once extracted from the plant, it can be crystallized for various uses. To crystallize menthol oil, manufacturers deep freeze it, which turns it into waxy, dissolvable crystals. This results in a concentrated and convenient way to store and use menthol (x). Menthol’s therapeutic properties have made it a popular natural remedy for centuries and it remains popular today. Mouthwash, toothpaste, chewing gum, hair products and pain ointments often contain menthol (x). A natural antibacterial, anti-fungal and analgesic, it boasts many health benefits (x). Menthol doesn’t actually cause a change in temperature; it just makes your skin feel cold. This makes it a popular ingredient in pain-relieving ointments. Usually, ointments contain menthol oil and not menthol crystals, as the raw crystals can cause skin irritation. Mixed with a mild oil, it can calm itchy skin. Mixing menthol with hair oil can invigorate the scalp. Witch hazel mixed with menthol may ease razor burn. Menthol combined with a carrier oil can ease the pain of cuts and scrapes. Menthol-infused oil may help soothe sore muscles. 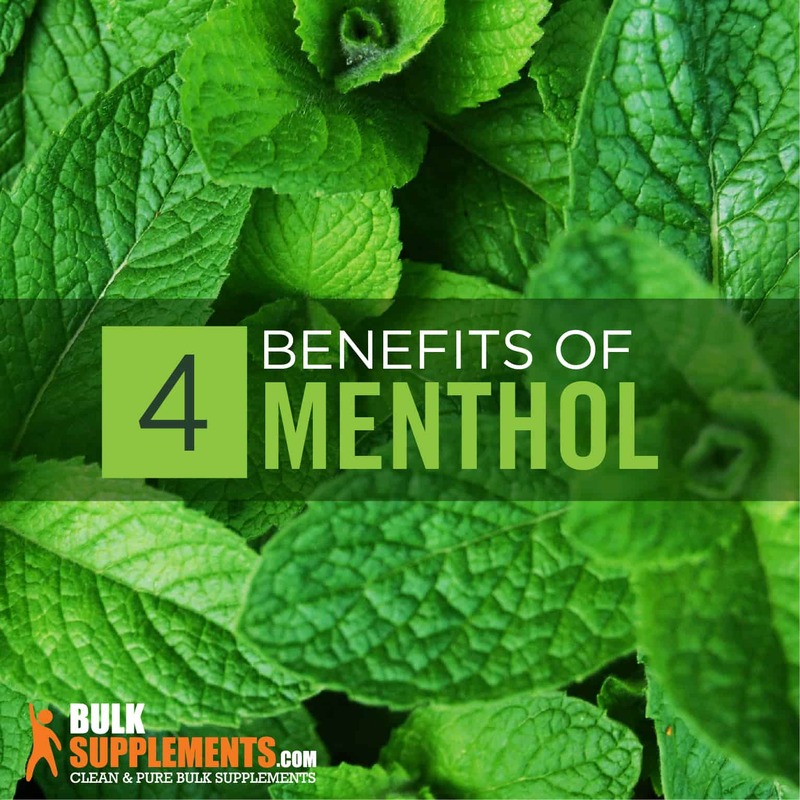 Menthol can be used as an expectorant and is often used to treat the flu, colds and bronchitis. It’s often the main ingredient in cough drops and chest rubs because it may help loosen mucus that causes congestion (x)(x). Menthol may also ease a sore throat by creating a cooling sensation that relieves pain (x). Using menthol crystals in a hot shower can release the vapors and soothe an irritated nose or throat. Since menthol is an antibacterial, it’s often an ingredient in oral hygiene like mouthwash and toothpaste (x). It leaves a fresh, minty taste and fights bad breath. Menthol is a common ingredient in lip balms, lotions and ointments, as well as arthritis and pain products. It creates a cooling sensation that soothes muscle spasms and cramps. So, how does menthol work its pain-relieving magic? Though scientists aren’t exactly sure, they do have some theories. One reason may be menthol’s interaction with the skin’s TRPM8 receptors, which sense feelings of coolness (x). When the skin feels cooler, it creates a slight feeling of numbness. This, in turn, helps lessen pain. Menthol may also relieve pain by relaxing blood vessels, allowing them to carry healing nourishment to an injured area (x). Menthol also tackles inflammation. The coolness of menthol counteracts the hot, inflamed feeling that accompanies injury and pain (x). People have used mint to calm digestive upset for thousands of years, and evidence suggests it could relieve symptoms of irritable bowel syndrome (IBS). In patients with IBS, the muscles of the colon tense up and spasm, causing cramps, inflammation and pain. But menthol could ease inflammation, pain and cramping associated with IBS, especially menthol sourced from peppermint (x). In one study, patients with IBS reported a significant improvement in their IBS symptoms–including stomach pain–after taking menthol sourced from peppermint (x). It is a natural pesticide and is especially useful in honey bee hives, where it deters harmful mites. Air fresheners using menthol crystals are naturally fragrant and non-toxic. Menthol acts as soothing aromatherapy, relieving stress and anxiety. For tension headaches, combine a non-toxic essential oil with menthol and apply to the temples before bedtime (avoid the eye area). Menthol, eucalyptus and camphor are three unique essential oils derived from plants. They smell similar, and are often used together in natural care products and alternative medicine to treat various conditions. But menthol, eucalyptus and camphor are all from different plants. Eucalyptus oil derives from the Eucalyptus globulus plant, a tree native to Australia. Historically, people believed eucalyptus improved insulin production to treat diabetics. Today, eucalyptus is a popular treatment for coughs and colds. Like menthol, eucalyptus oil boasts properties that can loosen the buildup of mucus, reducing chest congestion. It also contains antibacterial compounds that fight bad breath. You can find eucalyptus in various forms: dried leaves, spray, oil and ointment. The leaves are used in medicinal teas. Eucalyptus oil is found in many health supplements and dental products. The ointment can treat minor muscle aches. Camphor oil was traditionally extracted from the Cinnamomum camphora tree, which is native to Asia. Today, manufacturers produce camphor from turpentine oil. Camphor can help treat fungal infections, itching, warts, hemorrhoids and cold sores. You can also apply it to reduce muscle pain, improve blood circulation and treat minor burns. Camphor forms a protective layer within the respiratory tract, coating the throat and lungs to protect them from irritants. Some people inhale the oil vapors to treat chronic coughing. However, camphor can be highly dangerous if taken internally. Never swallow it or apply it to broken skin–it may cause seizures in people with medical conditions such as epilepsy (x). Menthol crystals are concentrated essential oils and require careful use. The crystals can cause skin irritation if not properly diluted. It’s best to handle crystals with gloves in a well-ventilated workspace. Keep menthol away from direct heat sources, as it’s flammable. Never use menthol crystals near your eyes, inside your nose or ears, or topically on sensitive skin; they can irritate mucus membranes and cause itching, soreness or rashes. A severe allergic reaction may include nausea, facial swelling, lethargy, vomiting or difficulty breathing. 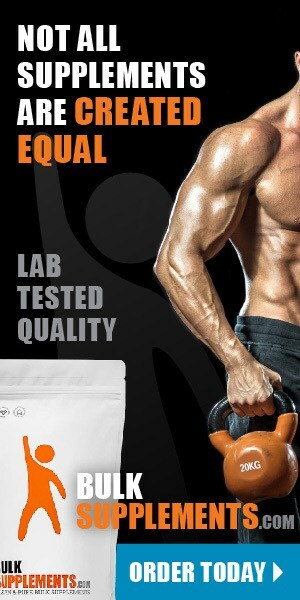 Follow product information regarding dosage and measurements to avoid potential side effects. Talk to your doctor before using menthol if you are pregnant or breastfeeding. And keep all products containing menthol out of the reach of children.